"What happens after we colonize our new home and eventually build starships to take to the stars?" he said. "What has become of our long-lost brothers and sisters from the planet Earth? My goal was to create an experience that focuses on starship design and combat within a universe filled with interstellar adventure, diplomacy, and exploration." Based on early screenshots it looks like the experience won't stray too far from the Civilization series, with hex-based boards and plenty of menus, along with a bigger focus on combat. However, the first trailer for Starships doesn't actually show the game in action, instead detailing the story and what looks to be concept art. 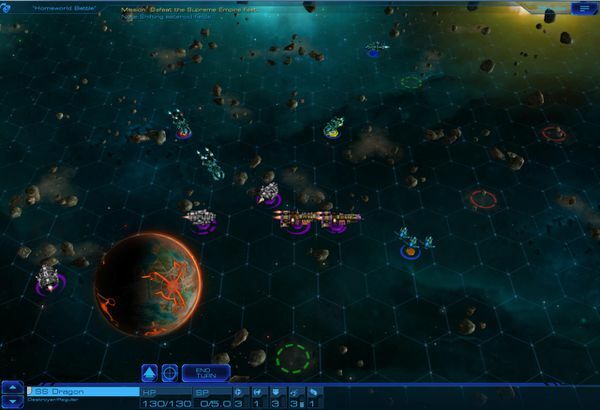 Thankfully we'll get to check out Starships surprisingly soon — it's due to launch early this year for Mac, PC, and iPad.